Big Bear Lake, CA – On November 19th at approximately 1:10 p.m., deputies from the Big Bear Sheriff’s Station conducted a traffic stop on a pickup truck hauling a trailer near the intersection of Big Bear Blvd. and Summit Blvd. The truck had no license plate and the trailer displayed an obstructed plate. The truck was occupied by the driver, identified as Dennis Lee, and two passengers, identified as Ann Esparza and Jaime Ordonez. A record check confirmed Ordonez to be on Post Release Community Supervision with a no bail warrant out of Los Angeles County. Lee and Esparza are both convicted felons. During a search of the vehicle and trailer deputies located multiple firearms, along with tools and equipment that were believed to be stolen. A cutoff concrete saw, Prototek transmitter and other specialized equipment was included in the tools. Through investigation, deputies discovered these items were stolen from Lake Arrowhead Community Services District. 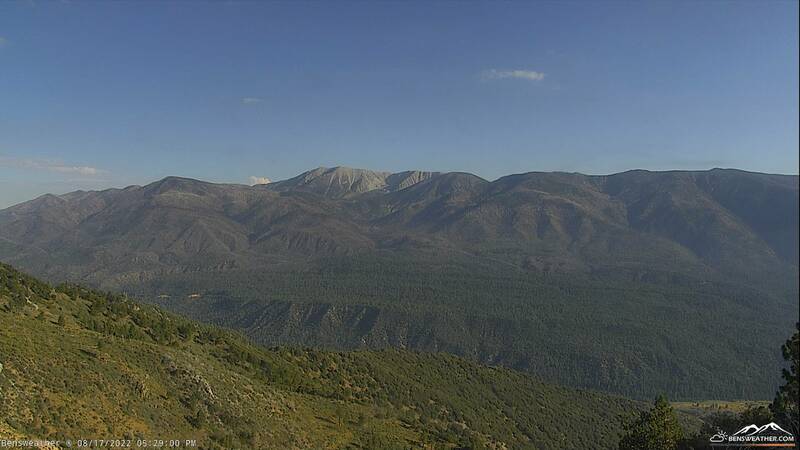 All three suspects were booked into the Big Bear jail on felony charges of being in possession of stolen property and convicted felons in possession of firearms. 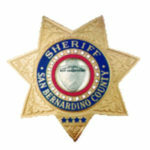 Arraignment hearings in this matter are scheduled for today in San Bernardino County Superior Court. 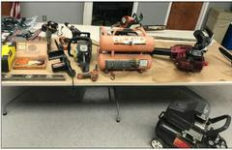 Deputies are in the process of identifying owners of the additional tools and equipment that were recovered; including chain saws, reciprocating saws, a welder, generator, air compressor and more. 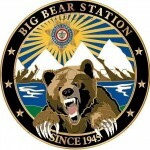 The Big Bear Sheriff’s Station is seeking the public’s assistance to identify owners of the remaining stolen items. If you have been a recent victim of a reported burglary and believe any of these items belong to you, please contact the Big Bear Sheriff’s Station at (909) 866-0100.